If you are like me, you probably decided to make writing for publication a new year's resolution. If you're not, then you've decided to start writing for publication under completely different circumstances. Either way, we are on this journey all writers are familiar with, despite what stage they are at. So, mine started like that. I was excited and determined. Before that moment I only wrote my stories in French and got tired of numerous failed attempts at self-publishing them and or finding a French publisher. Along the way I finally understood why those attempts failed but that's a story for another time. In January of 2009 I started working on my very first story in English. It was terrible. I made my mother in-law read and "critique" for me. After the second round, when she returned my precious pages without a single note I got the hint and moved on. Along the way I lost the best job I've ever had in my tiny life. While fighting depression, I worked harder on my manuscript. I joined this website called Critique Circle in hopes of finding like minded people only to discover that my middle grade fiction with an African character was too far out there for the American audience. At least that's what most critters told me. After a few rejections from agents and small publishers, I couldn't make myself work on the story anymore. Instead I poured my heart into finding a new job. Eventually the new job came along. I made a few friends who were also writers, although I was the only one writing kidlit. One of my new friends suggested we each started a blog that will chronicle our journey to publication. I was intrigued so she introduced me to Livejournal and my life was changed. I wish I had a better way to explain what happened to me. I picked up my story again, determined to polish it. With my own baby blog growing I found blogs by Maggie Stiefvater and other authors. I visited Maggie's blog every day. I wanted to learn everything and I was in awe at her success and knowledge of the publishing industry. I also expanded my circle of writer friends and was eager to talk about my hopes and fears about writing for publication on my blog. Eventually life changed, friendships shifted, Livejournal got spam friendly and Wordpress was the new place for the "cool" people. After much internal struggle I moved my blog to Wordpress. About the same time, I discovered book bloggers and joined in as well. My argument was, since I had to read a lot of what I was writing, the one way to make it fun would be to review them. Of course there was the shiny lure of ARCs. I know, right? 2011 was the year I wanted to do all the things. It was the year I could have done all the things until I found out that my pregnancy was one of those called "at risk". My life changed dramatically after that year. There are more details on my blog so I will skip over that part here. I had to rethink my expectations of myself and this writing journey I embarked on. Finding time to write was a challenge. Accepting that twenty minutes of writing time was better than zero was a challenge. See, I was used to having hours to write, not less than half an hour. Since the writing wasn't happening anymore, there was nothing to blog about. But I didn't want to quit blogging. Instead I immersed myself in reviews. I read as much as I could and reviewed as many books as possible while I waited for my writer life to get back on track. I think I'm still in that phase. Unless I got my writer life back and didn't realize it? I don't know. Sometimes, I look around and ask myself why I decided to do this. Then, I remember that fire I had burning in my heart back in January 2009. I used to be the new year resolution type. But after being tested beyond my limits many years in a row? I stopped doing resolutions. Occasionally I give myself moderate goals and renew them every year. There was a time I was naive enough to think I could get an agent and be published in four years. Now? It doesn't matter much. True, it hurts a little when I see people I "started" out with become debut authors or get agents or book deals. But I know we're all different and walk on very different paths. I will get an agent when my time comes. As long as I'm writing, my writing journey will continue. I have come to believe that getting into the agented writer circle will give me the credentials to talk about writing and the publishing industry. How can I talk about writing and the writing process when, you know, I'm just a writer struggling to get my foot in the door? Thank goodness I have caring friends who tell me different. But I need to convince myself first and believe in my skills. Then, I can talk confidently about my writing again, on my blog. My name is Akoss. I'm a Writer, a Book Reviewer, and Booktuber. Whatever you pick as a New Year Resolution, remember to be kind to yourself. 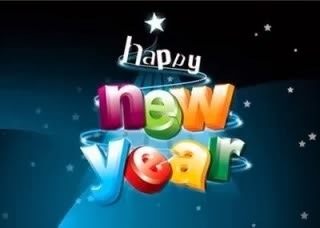 Happy New Year to everyone, from myself and the entire group of Kidliterati contributors. Akoss, Wishing you all the best in 2015! Writing friends are so important in this crazy journey. Akos, I love your honesty in this post. Writing is hard! I'm so glad we're on this journey together, my friend. Keep writing! We will get there. Your spark and passion to keep going despite life getting in the way will get you there. I just know it. Thanks for sharing your thoughts. Writing can be so challenging but you seem to find the meaning in it and persist. Kudos for being open to taking new directions and adapting! I hope you will continue to explore your African characters because they are a refreshing change.